Will sports betting and web gaming help bring back NJ destination resorts? The Boardwalk can’t catch a break. For the past two decades, Atlantic City’s casino industry has been under siege from gaming competition in neighboring states. The Southern New Jersey seaside resort, where saltwater taffy was created in the late 1800s, which thumbed its nose at Prohibition in the 1920s and was the inspiration for the board game Monopoly, once owned the monopoly for casinos in the East. But starting in the mid-1990s, Pennsylvania, Delaware, Maryland, Ohio, West Virginia and New York legalized gaming. 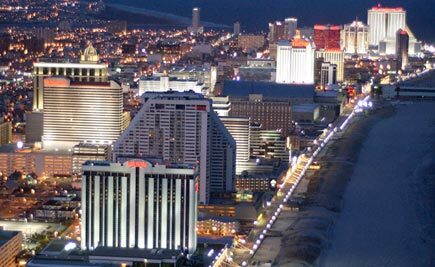 The competition, combined with the recession, took away business and caused Atlantic City’s annual casino revenues to fall more than 41 percent between 2006 and 2012. A comprehensive reform package pushed by Gov. Chris Christie in 2011 that created the Atlantic City Tourism District and focused new attention on boosting the city’s 12 hotel-casinos — nine on the famous Boardwalk and three in the Marina district — was just beginning to take hold in October. Then Superstorm Sandy washed ashore. With its plans to legalize sports gambling held up in federal court, New Jersey is allowing casinos to offer daily fantasy games as an alternative. The states Division of Gaming Enforcement has published regulations establishing standards for casinos to offer fantasy sports tournaments starting April 22. The casinos can charge patrons an entry fee and pay out winnings through the casino cage, but the activity is not considered gambling. Fantasy sports tournaments are contests in which participants create and manage teams, made up of individual players from real teams, which compete against other fantasy teams based on statistics that players generate during real games. It’s too early to tell how these fantasy games will affect sports book operators in Las Vegas. Atlantic City can’t catch a break. The gaming market has seemingly been covered by dark clouds for much of the past six years. Last week’s announcement that Revel, the Boardwalk’s newest resort, was filing for bankruptcy less than a year after opening, didn’t shock anyone. Bad news has become expected. Atlantic City gaming revenues have declined more than 40 percent over the last six years. The Boardwalk suffered through labor strife, competition from resorts in neighboring states, casino closures, stalled investments and the recession. When Hurricane Sandy washed ashore in October, shutting down portions of the Boardwalk for as long as to a week, several analysts quietly wondered whether the freakish storm was a warning sign from above. MGM Resorts International, which gave up its ties to Atlantic City’s casino market nearly three years ago to settle a dispute with New Jersey gaming regulators, is seeking to regain a piece of the action. The Las Vegas casino giant, which still owns 50 percent of Atlantic City’s market-leading Borgata, petitioned the New Jersey Casino Control Commission on Monday to reinstate the company’s gaming license in Atlantic City. MGM Resorts placed its Borgata ownership in trust in 2010 following settlement of a complaint filed by the New Jersey Division of Gaming Enforcement. The agency said MGM Resorts’ joint-venture partner in Macau, Hong Kong businesswoman Pansy Ho, was unsuitable because international law enforcement alleged casinos controlled by her father, billionaire Stanley Ho, were influenced by Chinese organized-crime triads.